Playing Cuphead on Nintendo Switch immediately feels right. The nail-biting bosses; the pink wisp of the parryable double jump. Cuphead is, most importantly, still difficult too, but never impossible. And on Switch, it is all the things it always was on Xbox One and PC. No frame rate inconsistencies or stuttering—evident in some other new Switch demos I tried this day—to be seen. 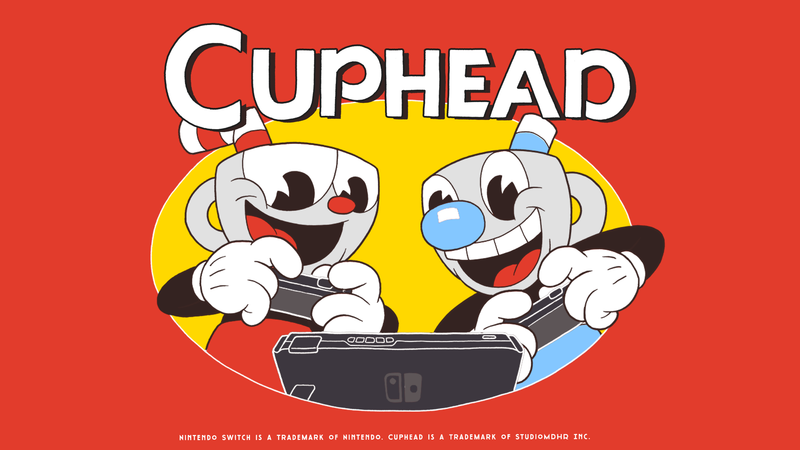 "It's a surprise to us too," Jared Moldenhauer, Studio MDHR co-founder and lead game designer tells me of Cuphead coming to Switch during a Nintendo Indies Showcase at the Game Developers Conference 2019. "It was something to do with Nintendo and Microsoft obviously working things out, finding friendly middle ground and the general sense was that they wanted more people exploring and playing games. So like, the more people who can enjoy an indie game is more important than exclusivity. I don't know internally how that worked for them—beats me—but when the opportunity arose for us and was like you can be on Switch, of course we jumped on it. It's pretty stellar to have the chance." Cuphead will also be coming to Nintendo Switch with a special bonus that other once-exclusive games haven't been blessed with: Xbox Live support. Moldenhauer tells me that the Xbox Live support won't be available upon launch for the Switch port, but it's working on a patch that will follow after for Xbox Live integration. As for the details of what sort of functionality it will bring, Moldenhauer says that he does not have a lot of information on that. As for bringing the Xbox One and PC game to Nintendo Switch, Moldenhauer elaborates on the challenges of porting the boss rush platformer. "You have to reapproach some of the ways you had it set up in a new way, because we didn't want to bog it down and it would have been insane loading times. So basically it was just finding a new way to pack all the sprite atlases and how to approach that," says Moldenhauer. "But the benefit was, sure it's a lot of work to do that for the Switch, but now across the board everything will have quicker loading time too. So it was just like, a win and a win and only good for the fans of the game." Moldenhauer also highlights the support of Nintendo's Nindie team, who have been always quick to respond to Studio MDHR's questions. The demo on display at the event is a memorable one; at least, it's a boss we've seen quite a bit of in the marketing for Cuphead. As a winning duo—myself as Cuphead, Moldenhauer as Mugman—we shot at intimidating, casino-owning frogs as they changed forms repeatedly. The frogs always bounce in rhythm, characteristic of animation of the 1920s, and of the Fleischer animation studio it's influenced by. Shortly before and after Cuphead released, the time period it was pulling inspiration from for its eye catching art attracted some criticism. The art period it's pulling from is famously emblematic of a cruel time of racist caricatures in cartoons—context that's difficult, if not impossible, to divorce from the art style (as argued by critic Yussef Cole from Unwinnable), no matter how cute it may be. Moldenhauer is careful in talking about this aspect of Cuphead, and the critical response of good and bad that's followed since it launched in 2017. "Any medium or something that you use is always going to be open to interpretation. So it's a valid opinion of how an individual feels on a product," says Moldenhauer. "Of course for us we always just try to do our best to ensure that we're not doing anything that could be offensive or deemed offensive. "Of course we were very conscious to make sure that we wouldn't be including any imagery or things that could be upsetting, but at the same time too, it's understandable that everybody will have a different response to a medium. So what we tried to do was stick to just the principles of the art itself, while being aware to make sure that we stay as far away from anything that could be offensive." Cuphead was revealed for Switch during a Nintendo Direct focused on independent games earlier this week. Later this year, Cuphead's DLC The Delicious Last Course will be releasing simultaneously on PC and Switch, though Moldenhauer doesn't have a firmer release window beyond 2019 yet. As for other platforms, Moldenhauer assures that the only things currently in Studio MDHR's pipeline are the upcoming DLC and Switch port. (Sorry PS4 hopefuls.) Cuphead will release on Nintendo Switch on April 18. Tagged with Action,	Feature,	GDC 2019,	Microsoft,	Nintendo,	PC,	Platformer,	Studio MDHR,	Switch,	Xbox One. A showcase bookended with two unique reveals. See all the trailers here.